that guided business and the economy through the Industrial Revolution. Many of the standards that were based on the time delays inherent in communications, transportation and manufacturing are disappearing with the revolutionary effects of digital technology and automation. One of the first to go is the age old marketing axiom of the quantitative relationship between supply and demand and market equilibrium. The concept is sound but the order of event needs to be reversed. The relationship is used to create wholesale and retail price targets, plant capacities and financial risk decisions. The ultimate effect is to create an unsustainable price driven retail economy and a cost based sourcing environment. This is an environment that limits entrepreneurs, innovation and ultimately competition. The Internet is providing a window to the product value based retail and manufacturing economy of the Information Age. The collective inventory and comparative shopping screens of agents like Amazon, Alibaba and others have turner shoppers into searchers and made the product’s features into critical factors in purchase decisions. 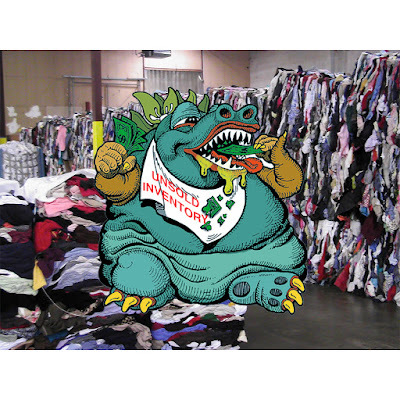 This ability to search unlimited inventories (there are over 30 thousand scarf designs on Amazon alone) leave retailers with their fixed high-risk inventories at a dangerous disadvantage. This supply in search of demand strategy is only viable in an expanding market base. The U.S.A. apparel market base is not an expanding. Solving this inevitable circling of the drain for apparel, fashion and the apparel manufacturing sectors requires a change in the basic paradigm to real time demand based sourcing and production. demand design and production is a key ingredient of bringing clean highly profitable manufacturing back to the United States. Demonstrations will feature retail “Endless Aisle” Augmented Reality (AR) kiosks integrated with Virtual Inventories produced on-site by the top 3D design companies. Selected product will then be colored and manufactured and finished on site in an Integrated Micro-Factory using the latest digital technology and currently available equipment from the top manufacturers. SOURCING at MAGIC is uniquely positioned to link Demand Sourcing with Demand Manufacturing since it is the largest retail and brand show in the Americas. This is opportunity for thousands of retailers, e-tailers and brands to witness a demonstration of the new “Demand and Supply” paradigm that is the future of clean high profit apparel manufacturing. supply portion of the equation. The accuracy of that prediction was the key to the success of reaching the magical point of market/price equilibrium or product on hand at the correct price to stimulate sales. The inherent danger of the time gap between the quantification of the supply and the actual sale of the demand created great risk for both the retailer and the supplier. To mitigate this risk brands then agglomerate demand from many retailers and attempt reduce the risk of oversupply and the consequence of losing the price equilibrium and requiring the dumping of product. This concept of third party demand forecast driving a supply first business sourcing decision can cause dangerous inventory constipation like H&M’s reported $4.3 billion pile of unsold inventory and resulting profit loss. We are now seeing the effect of a new paradigm driven by the change in both the content and speed of information at every level of the supply and demand equation. This change in information is driven by access to huge volumes of product choice available to the consumer. This information directly affects demand and the ability for retailers and brands to consolidate forecast information accurately as a basis for long-range purchases. This increased risk because of the inability to actually quantify demand by store location, product design, local competitive price and availability of competing products has been exacerbated by the change from consumers physically shopping to consumers searching the Internet before purchase whether online or in-store. This change from shoppers to searchers has driven a huge and detrimental impact on the retail apparel market. In an effort to bring the last mass merchandising opportunity out of the antiquated supply and demand concepts of the Industrial Revolution retailers have turned to price as a value determinant to stimulate demand. As we know from reading the news for many retailers have not been able to absorb this artificial incentive for consumers to provide the sales required to save their retail locations. For second let's examine the side effects of this attempt to use the supply and demand concept in this new age of information. First let's talk about the requirement to drive down cost in order to be able to support lower retail prices driving cost down by finding new suppliers with lower labor costs and lower contract production costs normally has three ultimately detrimental affects. First driving down supplier costs often requires contractors to initiate bad and sometimes inhuman labor practices. Second, suppliers need to lower the cost of raw product often resulting in quality deficiencies in the finished product. Third, suppliers in order to save pennies and nickels often shortcut environmental standards resulting in dangerous working conditions and ultimately damage to the ecosystem. Unfortunately, driving down cost through mass manufacturing efficiencies usually has one or more of these inherent detrimental effects. The real problem is overproduction caused by driving down costs by manufacturing efficiency coupled with the inherent risks of the long lead-time forecasting which is now out of sync with the traditional retailer and brand data-gathering process. While retailers and brands have been consolidating, closing stores and trimming margins, millions of dollars are being spent in another silo where technology has been developed to produce product on demand without the requirement for long lead times and huge reserve inventories. This digital manufacturing capability has created the opportunity to produce one or many without the expensive preparation costs that have been inherent in traditional mass manufacturing for years. Simply stated the technology is in position to make what we need, when we need it, on demand. In addition to the manufacturing technology 3-D software, printing and design capabilities are now in place to produce huge virtual inventories available to the searching consumer so they can have what they want, when they want it, on demand. This integration of product development and product manufacturing technologies is available today and integrated micro-and macro factories capable of producing both individual product and replenishment at speeds capable of matching consumer take away. In short we are ready to realize the retailer and brand dream of never overstock and never out of stock maximized profits. The commitment to education and demonstration of this important structural change by SOURCING at MAGIC will help hundreds of retailers and brands understand solutions for the changing market environment. 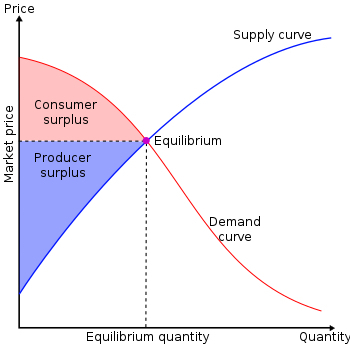 In summary, the fundamental difference between “supply and demand” and “demand and supply” is that supply and demand is based on cost and demand and supply is based on profits. 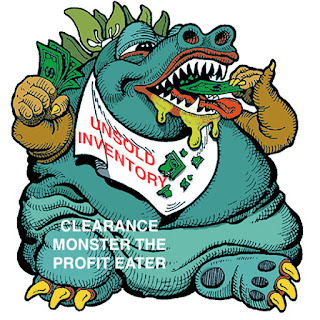 While operating on the antiquated theory that price is the primary driver of value; retailers, e-tailers and brands will continue to fail to address the giant profit eating monsters of oversupply, lack of choice, and damaging profit sucking clearances required in today's cost based structure. The huge technological adaption on the supply side is still gambling on the implementation of the demand side of the equation. We are all waiting for retailers, e-tailers and brands to recognize their responsibility to integrate Demand Sourcing by developing real-time POS, ERP and PLM software. That motivates suppliers to adopt the new technologies and end the cycle of forecast, manufacture, stock, discount and dump. Until then we will continue to follow the supply and demand maxims of the Industrial Revolution while we try to negotiate the opportunities of the Information Revolution. E-mail me at bgrier@am4u.com for further information or with questions about Demand Sourcing or SOURCING at MAGIC.